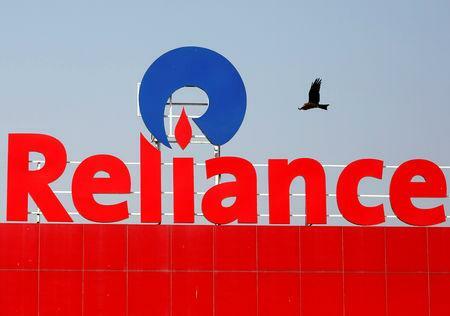 NEW DELHI (Reuters) - India's Reliance Industries, operator of the world's largest oil refining complex, on Friday said in a statement it was not breaching U.S. sanctions against Venezuela. The Reliance statement came a day after Reuters reported that the conglomerate was selling fuels to Venezuela from India and Europe to sidestep sanctions that bar U.S.-based companies from dealing with state-run PDVSA, according to trading sources and Refinitiv Eikon data..
Reliance had been supplying alkylate, diluent naphtha and other fuel to Venezuela through its U.S.-based subsidiary before Washington imposed sanctions aimed at curbing the OPEC member's oil exports and ousting socialist President Nicolas Maduro. Additional Venezuela-related sanctions are possible in the future, as U.S. President Donald Trump's administration has not yet tried to prevent companies based outside the United States from buying Venezuelan oil.